Face recognition technology is designed to enable a system to correctly identify the face of a person. The technology uses a set of algorithms which compares the various facial features, their size, and distance from one another to make an intelligent decision on the identity of such a face. Such scanned features are compared to those stored in the database and thus aid in making a correct match. Facial recognition is widely applied in various systems. 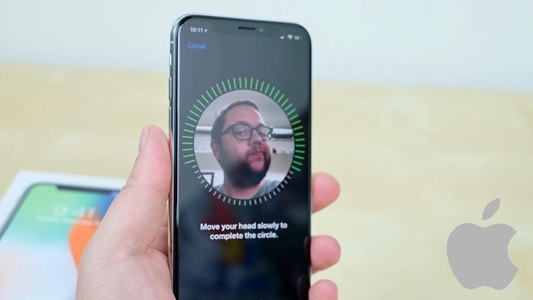 One area where facial recognition technology has received a considerable application is in the Face Unlock systems on Smartphones. How does Face Unlock Work? The Face Unlock works by comparing the facial details captured during the unlock session with those which were captured during the Face unlock set up. The most intuitive of these Face recognition technologies is the Apple FaceID. The face recognition system does not only capture the size, shape and the proportional distance of various facial features but goes to an extent of capturing the groves and dents on your face. It is thus a 3-D technology implying that such a system cannot be tricked by the use of a person’s photo. 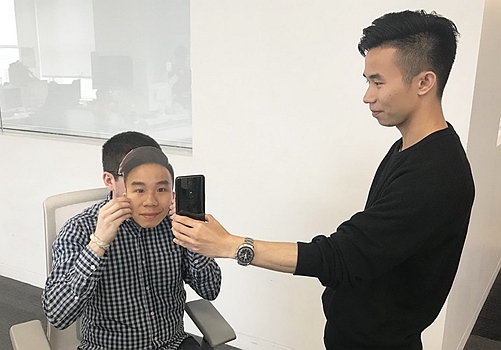 OnePlus has incorporated facial technology in their OnePlus 6T release. Though this technology is not as effective as that of Apple’s FaceID, it has a certain level of reliability. The technology captures over 100 different facial details which it uses to compare and differentiate the right face from the rest. The face scan is usually done via the front camera. If the details of the captured face match those which are in the database, the smartphone unlocks. In case there are deviations between the facial details captured and those stored in the database, the smartphone does not unlock. 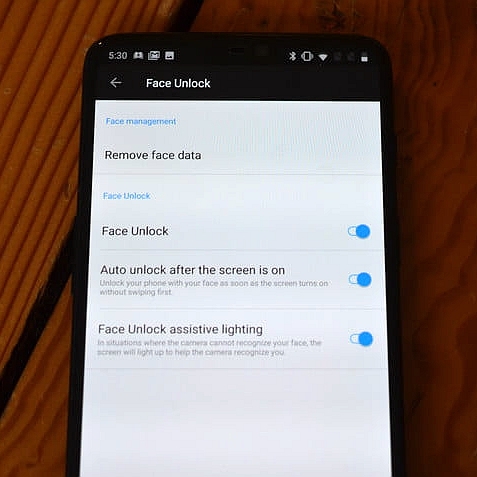 For security purposes, the smartphone is set to prompt another form of unlocking the phone after 5 Face Unlock attempts. 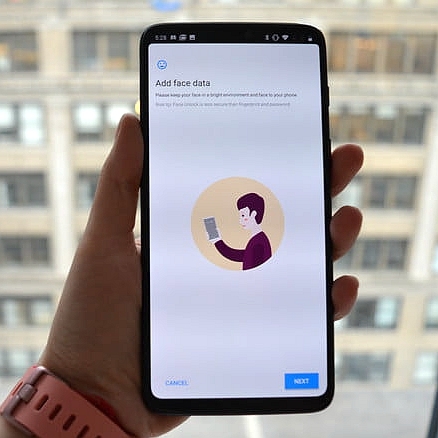 OnePlus 6T has over five options which users can utilize to unlock their smart devices. The most secure of these is the fingerprint scan. This article will focus on Face unlock option. 1. Go to settings, scroll down to the “Personal Section” and tap the “Security & Lock Screen” option. 2. The Security and lock interface will give an access to several settings such as screen lock, Face Unlock, and find my device options. Since your interest is on Face Unlock, tap on this option. 3. Once you tap on the Face Unlock, you will be prompted to enter a PIN number or a password. Enter one of these to enable the Face Unlock feature. See to it that you enter a PIN or a password which you can remember in the future. You will be required to re-enter this PIN or password to make later changes to the Face Unlock feature. 4. After entering your PIN/Password tap on the “Add Face Data” then select “Next” to move to the next interface. This option is under Face Management section. 5. The front camera will be activated after tapping the “Next” option. Position your front camera 20 to 30cm from your Face to start the Face capturing process. You will notice a circle drawn on the screen. Adjust your face to fit in this circle and hold the phone steadily for a few seconds. After the device has captured your face you will see “Face Unlock Set Up Done” on the screen. Tap “Confirm” to finish this process. You will now be able to use the Face Unlock feature to unlock your phone. You can as well add fingerprint as another option to unlock your phone. There are other options which are associated with the Face Unlock feature. One of these is the “Auto Unlock When the Screen is on”. This option, if enabled, will make your device to scan your face each time the screen is put on. Thus you will not need to swipe the screen to launch the Face Unlock system. There is also the Face Unlock assistive lighting which when enabled will make the screen to light up to better recognize your Face. This is especially important in poorly lit places. OnePlus 6T Face Unlock feature works faster than the iPhone X. 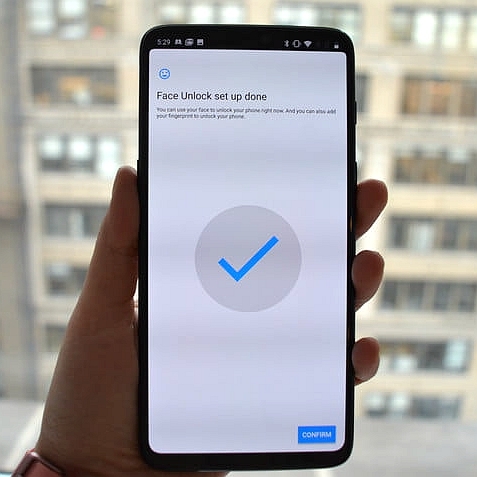 However, the security of the OnePlus 6T Face unlock is far lower as compared to that of iPhone X. 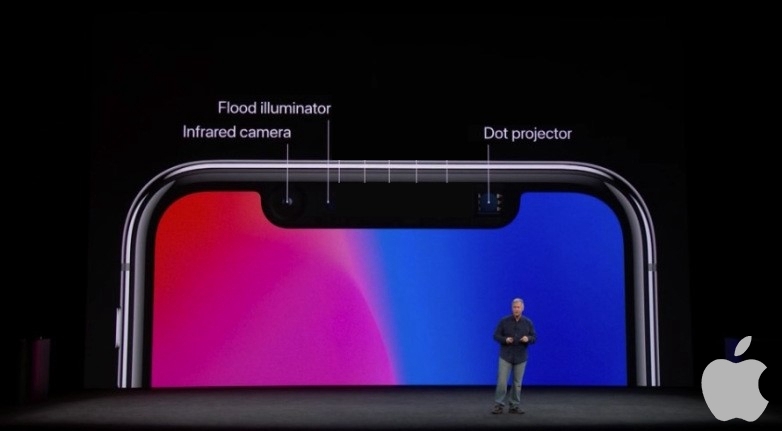 The Apple Face Recognition System uses 3-D systems and high-end sensors to recognize depth, groves, and distinguish between a real person and a photo/video. Such a sophisticated technology is quite expensive and if OnePlus copied such a technology, the price of their OnePlus 6T handsets would have been significantly high. It’s interesting to note that you can use a photo of someone to unlock their OnePlus 6T phone. This implies that OnePlus 6T face unlock is not a foolproof security feature against intrusion and unauthorized use of a person’s mobile device. Thus your security can be compromised if you use the Face Unlock feature on the OnePlus 6T device. 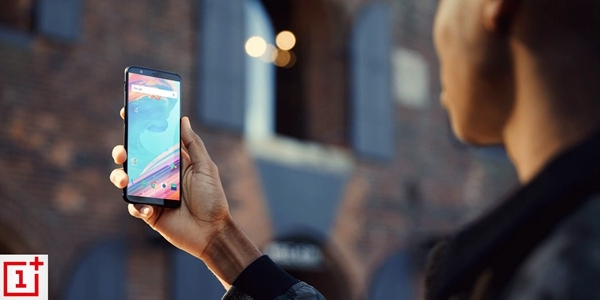 OnePlus responded to such concerns by saying that their Face Unlock feature was designed for purposes of convenience and not entirely a security feature. The company is working on improving on this face recognition feature to increase its security and fill out any loopholes which can compromise user security. For better security, you can choose to use the fingerprint Unlock option incorporated in the OnePlus 6T which is quite secure and difficult to circumvent. OnePlus 6T comes with excellent features and has better performance than earlier models. The Face Unlock feature offers a certain level of access limit by third parties. However, anybody who is bent on accessing a person’s OnePlus 6T device will still be able to do so by tricking the Face Unlock with a Photo. Thus for those who would like extra security on their OnePlus 6T devices, it’s advisable that they make use of other security features such as fingerprint scan, pattern lock, and password lock to strengthen the security of their devices.